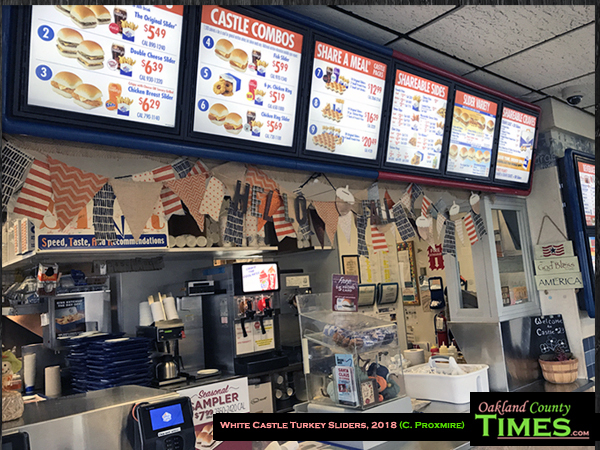 Troy, Ferndale, Royal Oak, Farmington Hills, Southfield, Pontiac, MI- The reason behind the season this week is gratitude, and as Thanksgiving approaches we must give props to White Castle who sponsors our Reporter Food column. 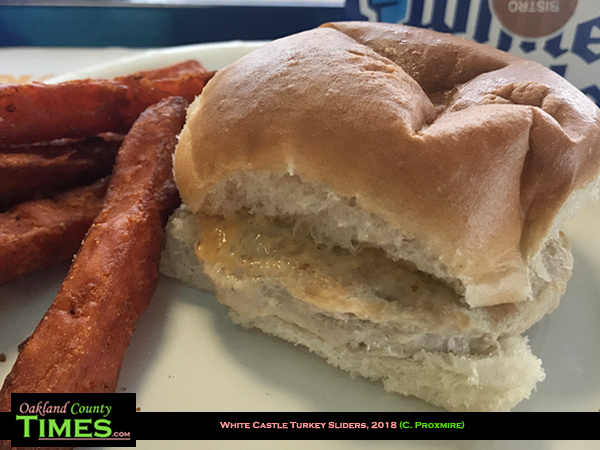 Our quest to taste Oakland County one restaurant at a time would not be complete without a post about holiday favorites like the turkey sliders offered only seasonally at White Castle. The Birstro Turkey Slider has a tangy sauce on top, while the Cheddar and Apple Butter Slider has a sweet and salty mix of flavors. 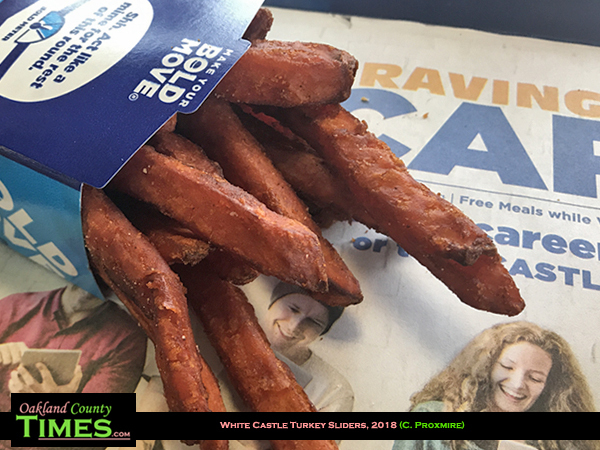 They also offer some crispy and delicious sweet potato fries. 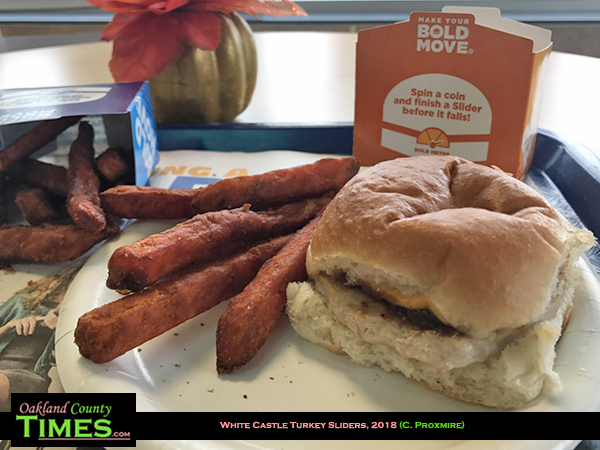 The turkey sliders are made with Butterball turkey. For those who don’t like turkey, the Impossible Burger sliders are still on the menu. This plant-based burger tastes similar to the original sliders, but without meat.